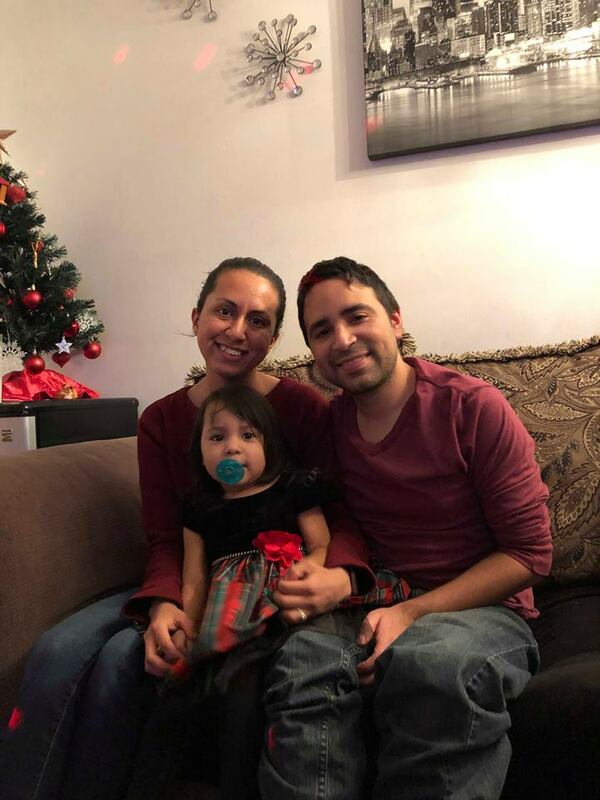 Merry Christmas and welcome to Blogmas day 25! Thank you so very much for following along during my 25 days of Blogmas on Someday I’ll Be On Time. 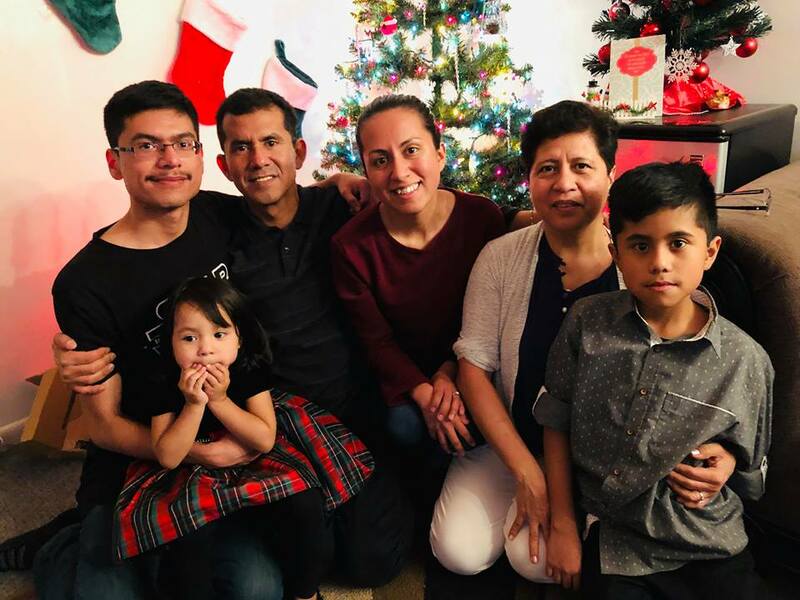 In this blog post, I share about my Christmas Eve and my plans for today. My side of the family and my husband’s side of the family have Christmas dinner on Christmas Eve each year. We go early in the evening to my parents’ home and at night we go to Esteban’s aunt’s home and gather with his side of the family. We’ve done this for several years. I was shocked to find out, today, that other people do their Christmas dinner on Christmas day. I had no idea people did this. 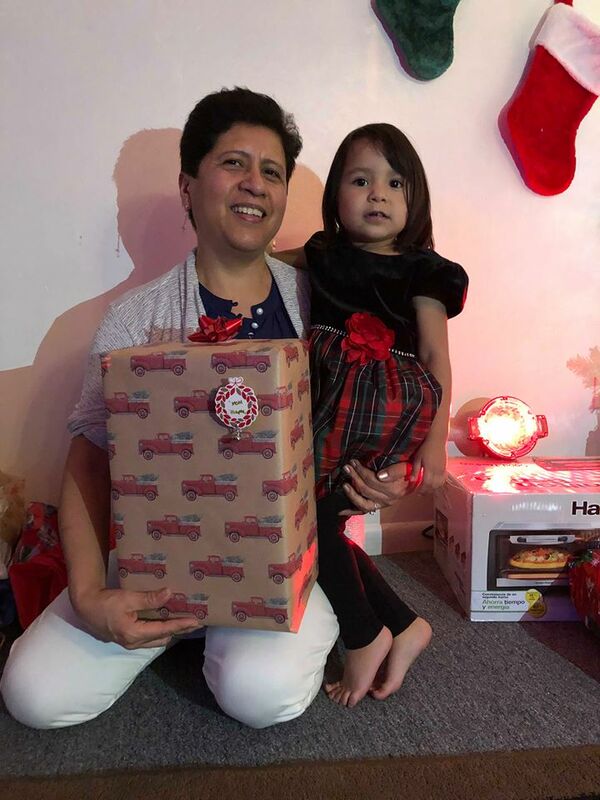 I know of families with divorced parents may do their Christmas dinner on a different day, but I found out that people actually have their Christmas dinner on Christmas day (25th). Personally, I don’t know of anyone who has Christmas dinner on Christmas day. Anywho, I hope everyone had a fantastic Christmas Eve (if you celebrate) and I hope you’re having a great Christmas day so far. I worked 8:30am to 3pm (our office closed early). After work, I braved the crowd and went to Target with my almost 3 year old. I somehow managed to keep forgetting to get a gift card for my dad. That’s literally all I needed. Target gives me 5% with my Redcard. I got him a CineMark giftcard. I never treat myself to Starbucks unless I’m at Disney, of course. 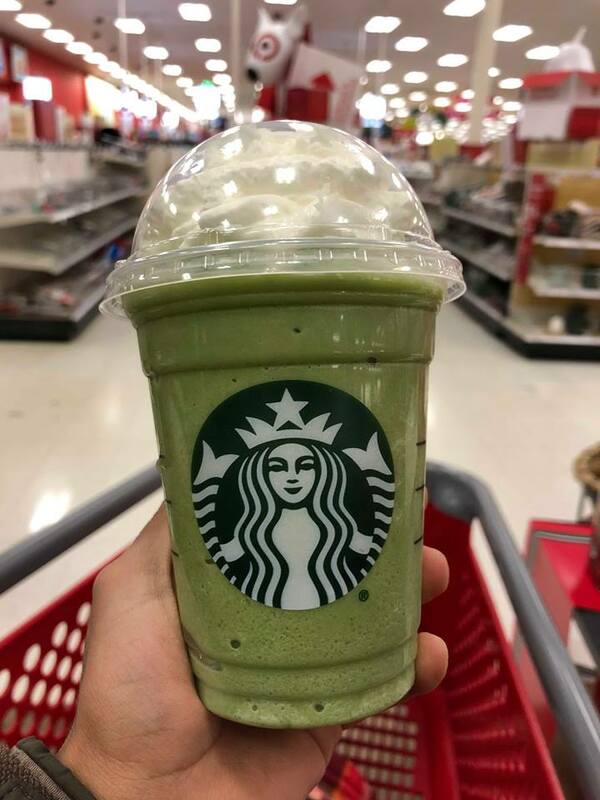 Today, I got a green tea frappuccino from Target’s Starbucks because Karen Shoufler from Karen Shoufler Photography treated her followers on Instagram with a Starbucks gift card. She posted a gift card barcode on her Insta stories for people to use in celebration of her birthday. Her birthday was December 23th and I didn’t even try to go to a Starbucks on the day she posted it on Instagram because I thought the amount in the gift card would be gone right away. On Monday evening, I tried it and it still had about $20. Yay! Karen is the best and truly loves what she does, her clients, and her followers. Thank you, Karen (if you’re reading this). 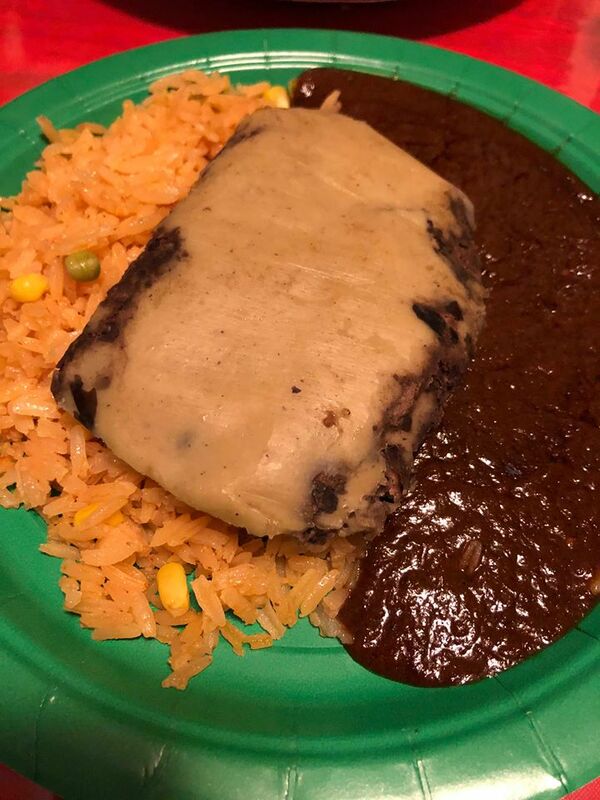 For dinner, my mom made mole, bean tamales wrapped in banana plant leaves, rice, dulce tamales, bunuelos, pina colada, cut up pine apple, and champurado. I can eat mole, rice and beans everyday of my life. I love it so much! 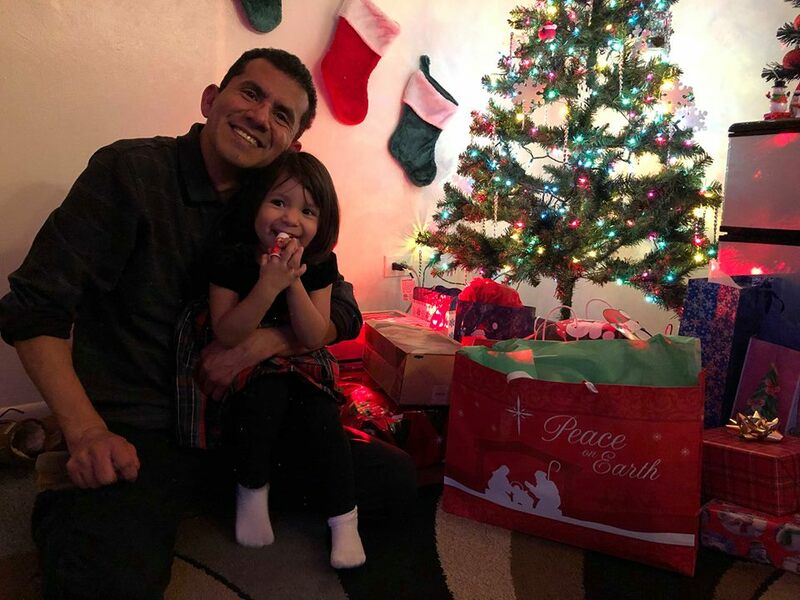 My family opens presents on Christmas Eve and this is my 10th Christmas with my husband and we have always opened gifts on Christmas Eve too. 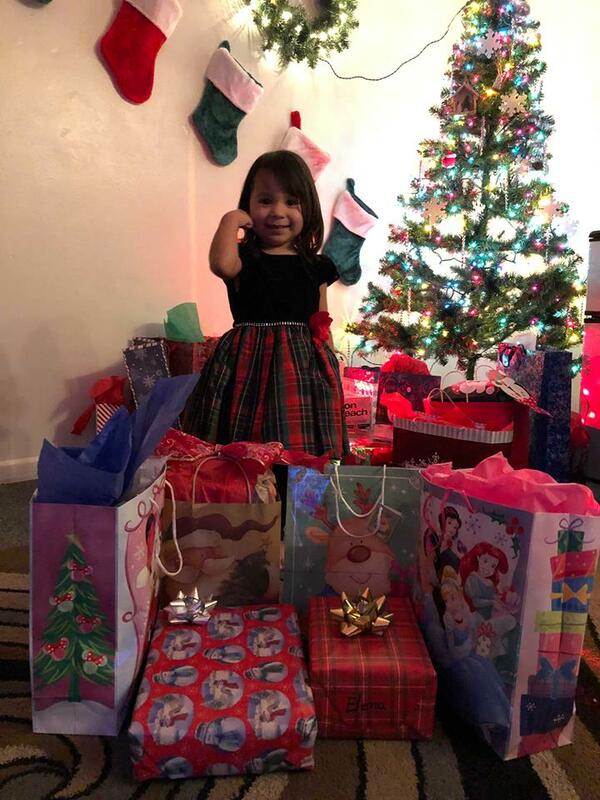 Elena was the first one to open her presents. She did well this year with waiting until after dinner to open gifts. Also, she was very good at home. She never once tried to open any presents at home that were under the tree or in our bedroom. I love this. This was a gift from a neighbor. It was a kid size mop & broom. She literally scream of joy when she this Peppa Pig toy. Gift from my parents. Peppa Pig PJs from my parents. She hugged Minnie Mouse and it was so cute! Gift from Esteban’s dad and step-mom. Another gift from my parents. Mini Minnie Mouse book collection from Santa. Please note, this was after Esteban’s nap. He fell asleep on the sofa and had just woken up a couple minutes before the picture. 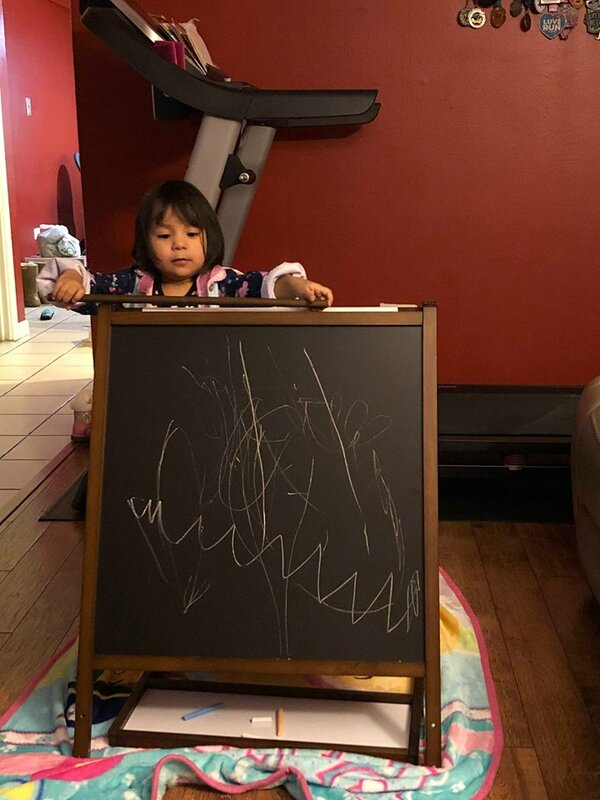 My husband and I bought Elena this art easel. It has a chalk board on one side and a white erase board on the other side. We bought her a paper roll and paint as well. This is from Michael’s. Esteban is yet to put the rest of the easel together. That’s a wrap! Today, on Christmas day, I plan to sleep in (I’m writing this at 1am and I have yet to go to bed). My husband bought me Joana Gaine’s book Home Body and I’m so excited to get into it! My mom got me the most cozy PJs and a whole collection of mini nail polishes which I’m so excited to try. I’m actually going to use this extra day off to catch up on a few things that I have not been able to do during Blogmas. Blogmas is, no joke, lots of work! I enjoyed it very much and I’m so glad I did not give up when I almost called it quits around day 15. I’m so excited to get back to running after a couple weeks off. Although, Blogmas is over and I won’t be posting a new blog post each day, still expect to see content on a regular basis. I’ll be posting twice a week from now on. At this time, I can’t tell you which days those will be until I figure out what is best for me and best for you. When do you eat Christmas dinner? What was your favorite gift that you received this year? What was your favorite gift to give this year?